A lot of people think that high water pressure is good. It helps you get cleaner, quicker, in the shower; makes washing dishes easier; and fills containers quicker. But high water pressure can wreak havoc on your pipes; moving water is one of the strongest forces of water on earth. Problem: If there is high pressure inside your plumbing system every once in awhile, your pipes may be resilient enough to withstand it. Intermittent bursts of high pressure can cause pipes to crack suddenly. If there is constant high pressure in a closed system, it can compromise the integrity of the pipe walls and put stress on pipe joints and connections. Solution: Do not allow water pressure to remain high. Find the source of the increased water pressure and relieve it. You can partially close the water meter valve to help slow the flow. You can install a pressure relief valve to help regulate the pressure of water flowing through your pipes. If you are unsure of how to do this, call your plumber! Before water can get to the pipes inside your house, it comes from somewhere. Whether your house gets its water from a city water system or your own personal well, the source of water is usually not located within the home. Because of this, water leaks can begin outside your home before the water reaches your house. Problem: Tree root growth is a common culprit of external pipe damage. Growing tree roots can slowly push on water pipes, causing them to crack. 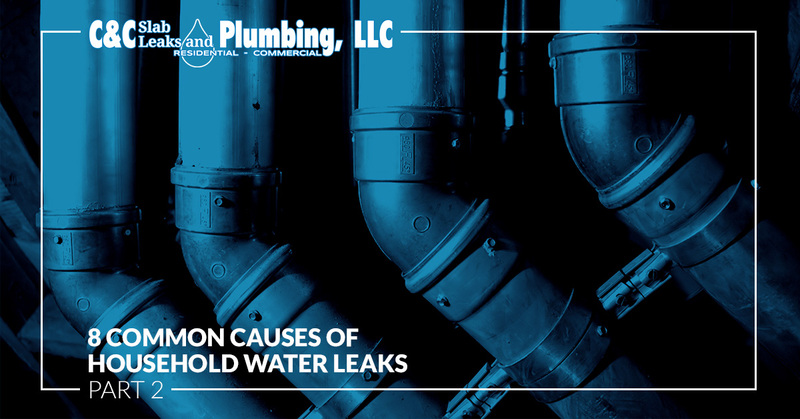 If you notice slowing water pressure inside your home without an obvious leak or you notice puddling in your yard, it is possible that an outside pipe has been broken. Solution: Do not plant trees or creeping plants near water pipe systems. If trees already exist, monitor root growth over time to make sure they don’t infringe on pipes. If the leak does happen outside your home, first call your local water company for guidance. 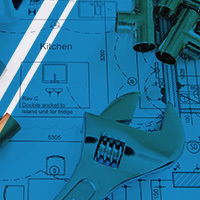 Pipe joints are where pipes connect to each other and is the most vulnerable part of your home’s plumbing system. As with any point of connection, there is a lot of potential for water leak at the joints. Problem: Pipe connections can break down over time, causing slow drips. If a pipe system is under a lot of pressure, the pipe joints are the first part of the pipe that will show symptoms of the stress. Water takes the path of least resistance, pipe joints provide a break in the smoothness of the inside of water pipes. When pressure rises, water will search for areas where resistance changes as a source of relief. Eventually, joints may break under pressure, allowing water to leak. If external pressure is put on pipes (such as hanging laundry from them), the joints will bear the brunt of the bending force and eventually snap. Solution: Never put things on, or hang things from, water pipes. If pipe joints are exposed, be sure not to bump into them. Regulate water pressure and avoid high water pressure in pipes. If your pipes make noises, such as ticking or banging, when you turn water on call an experienced plumber right away; those noises are warning signs of looming disaster. Stay tuned for our final segment, where we will discuss clogs, seals, and corrosion as sources of water leaks in your plumbing system.